Earlier this year we shared a blog post with a couple of pictures from our first round of work with Booking.com for their San Francisco headquarters. We got a lot of good feedback on that post and now we want to share a couple more photos from the same project. 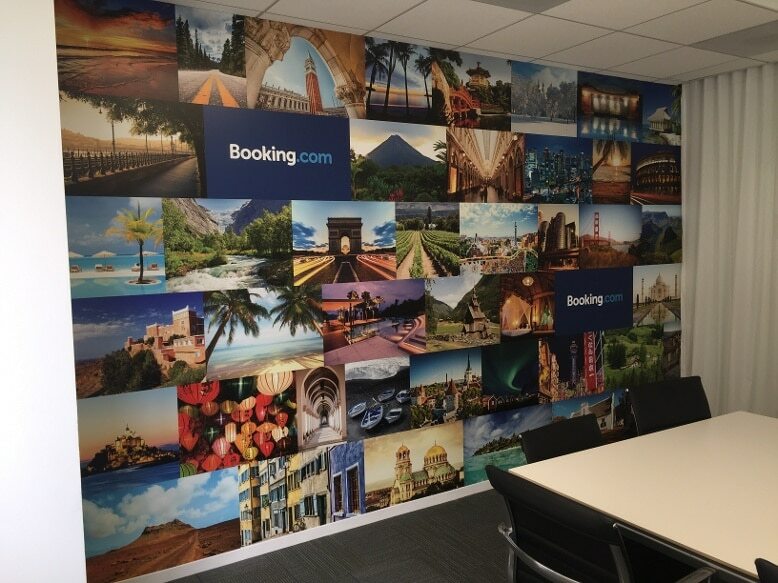 Booking.com has 20 offices in the US and over a hundred offices worldwide. What we think is really cool about these offices is that they are all themed after the city they are in. 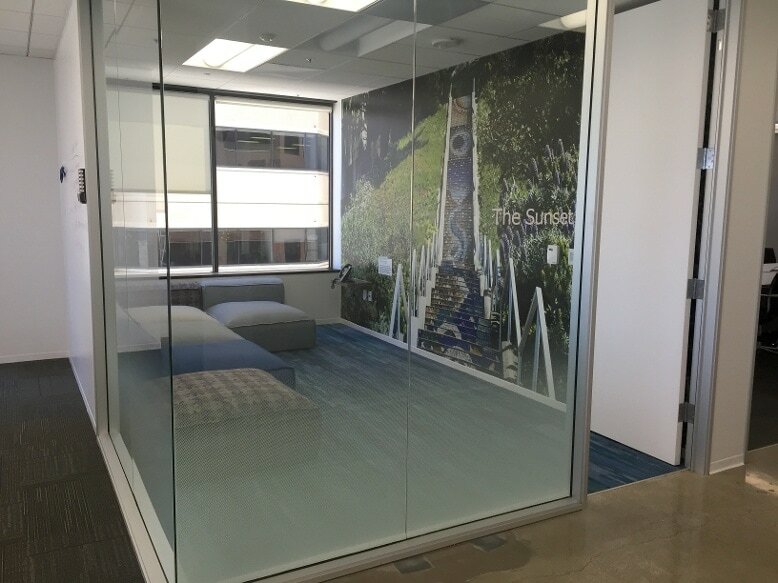 Their San Francisco office space was (naturally) themed after the City, as you can see in the last Booking.com blog post. 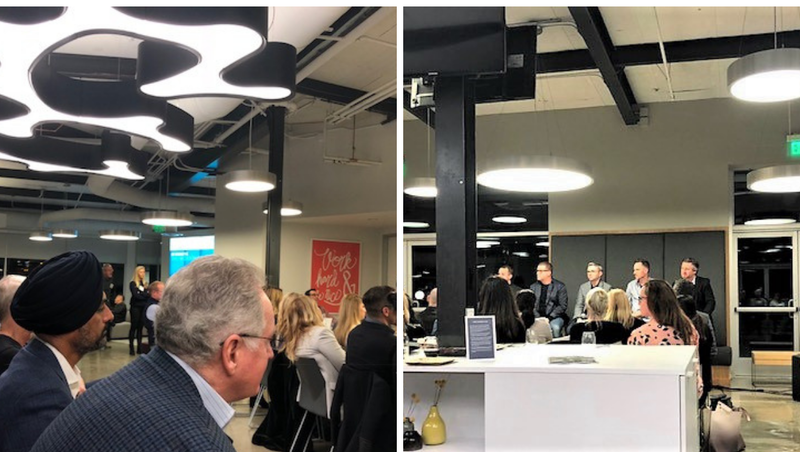 We already shared two of the San Francisco-inspired design elements from their office space; the acrylic dimensional cable car and the Golden Gate Bridge railing in the hallway. Let’s take a look at some of the other design elements we took use of to give the office a San Francisco feel and look. District, a graphic that goes hand in hand with the room’s name. 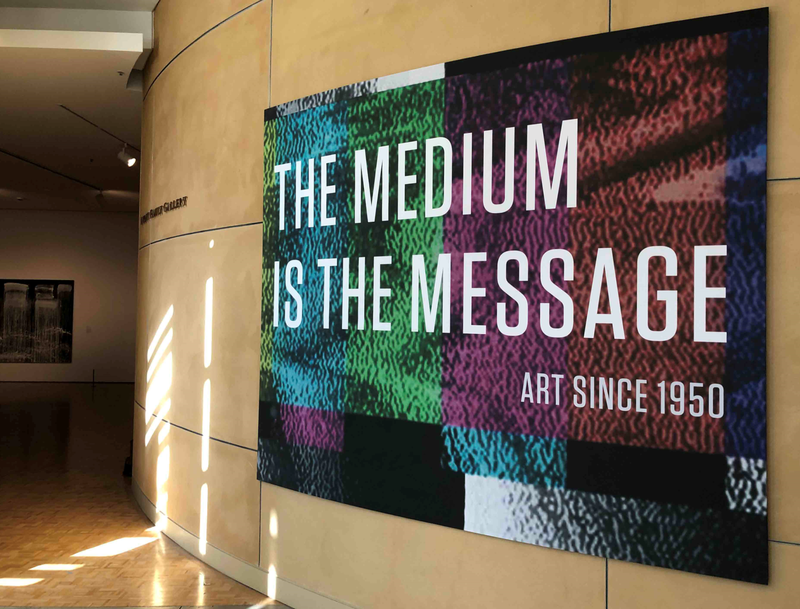 How will you bring your office space to life? Call us today for a free consultation! By the way, be sure to check out Karl the Fog on Facebook, Twitter and Instagram.